How Can Be Exchange EDB Viewer Beneficial For You? Viewing MS Exchange EDB file data is not at all a colossal or challenging thing. Real challenge is to view it without Microsoft Exchange platform. The requirement of exploring "What is inside EDB file?" can be different. It can be needed to view few emails for some official purpose. 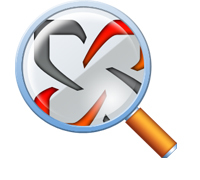 Scan Corrupted EDB: Advance scanning mode to recover data from severely corrupted EDB file providing its preview. Support Pub.edb & Priv.edb: EDB Viewer supports both public folders and personal mailboxes and lets users to add it for the preview. Thus users can view data belonging to both priv.edb and pub.edb files. Complete Data Preview: This application is capable to show all the data types and items like; emails, contacts, calendars, tasks, notes, etc. This application is completely free and is available in demo version as well for testing purpose. It can be needed to analyze few emails for investigation. Or just to view few important contacts present in the Exchange EDB file. Well, needs can be different but manually it is impossible to view data from an EDB file without the Exchange platform. Exchange EDB Viewer has been resolved to fulfill this adequacy. 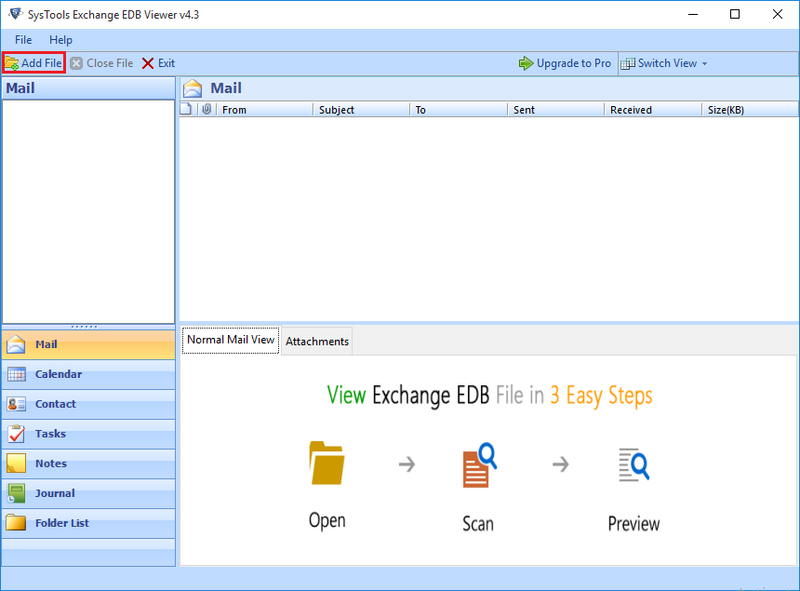 Our EDB Database Viewer tool is blended with very important feature which is capable to recover data and show its preview from a corrupted Exchange EDB file. It a complete package to deliver preview of all the data of EDB file; emails, contacts, calendars, tasks, notes, etc. Let us see how this software can help you to view data in an organized manner. 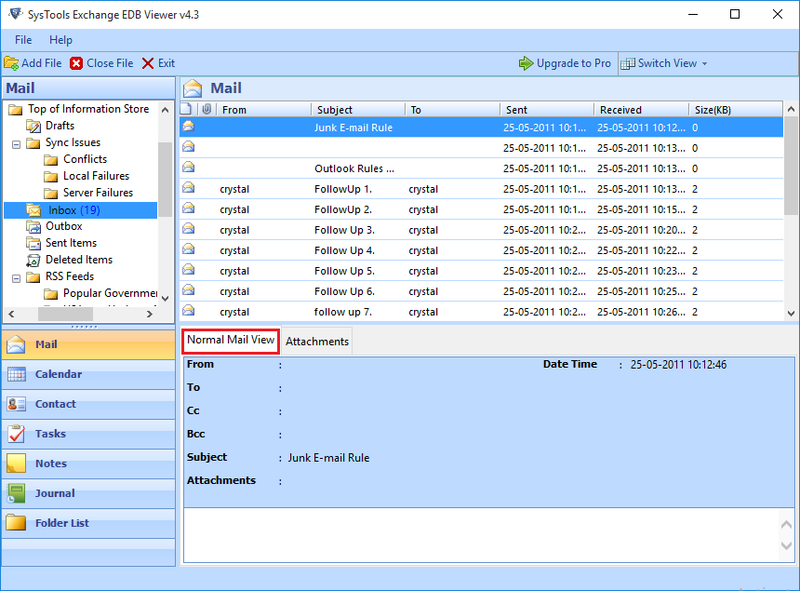 EDB Viewer Software effortlessly open edb mailbox file and instantly data is displayed in a presentable manner and attributes of the data like: From, To, Subject, etc. is also shown in same application window. How many EDB files can be viewed at once? The software can process only one Exchange Database at a time along with its STM file (if applicable and present in the same folder). However, unlimited EDB files can be opened and viewed with EDB Viewer one by one. Is it possible to open and view a corrupt EDB file? "I have Exchange environment but cannot view one of the archived EDB files as it’s corrupt. Is it possible to view it on this software?" Yes, you can view a healthy as well as corrupt Exchange database with this application. The tool comes with Quick and Advance Scan where the latter is proposed for (severely) corrupted database. The software doesn’t auto load the STM file for my Exchange database. Why? It is necessary for the STM file to reside on the same folder as that of EDB file for the software to auto detect and load it. However, if the STM is located at a different location you can browse and load it manually. "We have acquainted ourselves with the finest of application. EDB Viewer has a surprising potential which is absolutely incomparable. And on top of that, this application is completely free of charges making it a great choice." "Having Exchange Server yet not being able to access our own database was quite frustrating. But thankfully, EDB Viewer successfully solved all of our issues. So, we are also planning to upgrade it to avail more options." "First the tool can open any size of EDB file then it says it can even open a corrupt database. On top of it, the software is free of cost. What more could a user want. It's all I had been looking for. Thank you team!"